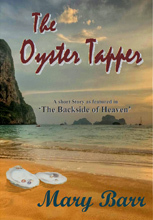 The Backside of Heaven is a collection of four short stories. These are all listed below along with a synopsis of each. 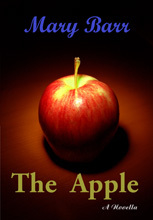 They are currently available individually at Amazon, Smashwords and Sony. Hudson and Mastonia Black own a very successful horse farm and enjoy an idyllic life. Their life is a true love story and they cherish every moment; until Hudson’s beloved Mastonia falls from her horse while outriding. It is the day before they are to celebrate their 40th wedding anniversary. 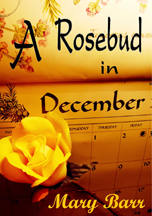 A Rosebud in December follows the unique lives of identical twin girls, Rosemary and LillibudWaric. No one can tell them apart and no one cares, they share everything and think as one. Overtime, they are simply known Rosebud. Their beginnings are humble; they are dirt poor and live in a trailer park where they are regularly subjected to beatings from their angry and drunken father. grow inside an eight foot fenced enclosure secured by a padlocked gate. It is these very trees and the fruit they bear which are the cause of Hero’s heart being broken, first by Chubby and then twice by Milo. she cannot find another explanation. doesn’t understand why Hero runs from his arms and never answers his calls.Once again,she shuts herself away with a broken heart. Then, during a short business trip, Hero happens to visit the newest supermarket in town. There amongst the apples is a new breed and the name read’s‘Hero’s gold’. She knows Chubby must have invented this apple. At that moment she knows she really never stopped loving him. That night she spends many hours searching for his telephone number or some clue that he is near, but finds nothing. The very next morning as she prepares to leave town she sees Chubby, tall and handsome, standing just inside the store talking to the owner. Hero’s heart misses a beat as the years fall away and she prepares to run to him only to see, first one little girl, then two blond haired children leap into his arms; shortly followed by her once best friend. She is unable to move as she watches her friend move toward him and knows without a doubt that she is obviously Chubby’s wife! Hero thought her heart couldn’t break again, but it does. Orchards and ultimately reunite Hero and Milo. This time,they live happily ever. after! shucking oysters each day after school. 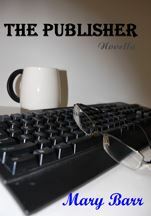 It is a normal school day just like any other, until Joe – the publisher – begins reading a manuscripts. In the manuscript he learns that his children are not at school. They have been kidnapped and are being held hostage until the ransom is paid. Each detail of what he must do is precisely laid out as another page of the manuscript unfolds. Suzanne has done someone wrong and if she can right the situation her children will go free, if not,they will die. And so,they sit and wait for the knock on the door and the next installment of the manuscript that holds within its pages their children’s fate.